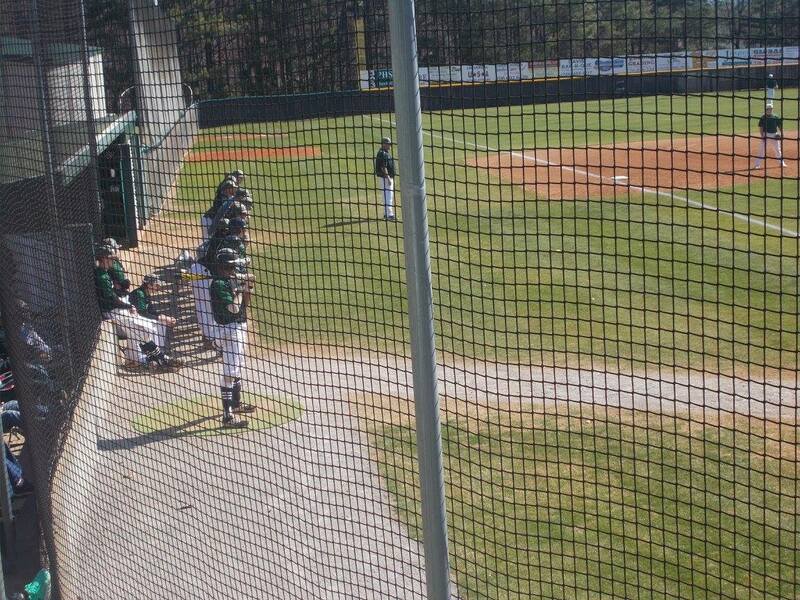 Yesterday afternoon, the PHS Dragons varsity baseball team hosted the Generals of Heritage in game one of a crucial three-game series. 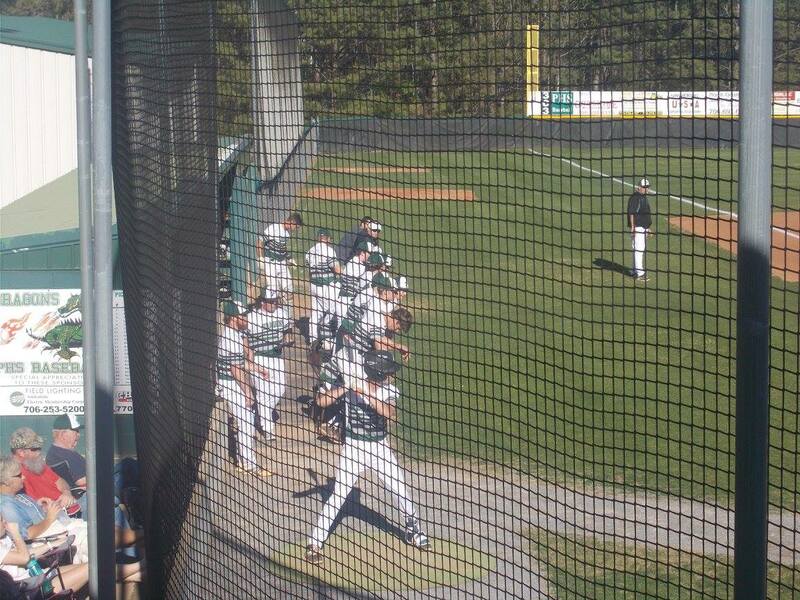 Coming into the ball game, Pickens was 12-6 overall, & 6-3 in 6-AAAA, good for 3rd. Heritage, came in ranked as high as 3rd in some 4-A polls & were 15-5 overall & 7-2 in 6-AAAA, good for 2nd. Senior Travis Huffman got the call to start the series opener & pitched a beautiful game. T. Huffman worked around a single to strike out two in the top of the 1st to send us to the bottom of the inning. In the bottom of the frame, a two-out single was all the Dragons would manage as we headed to the 2nd, tied at 0. Pickens got out of the top of the 2nd without any damage done and had a real opportune chance to get something going in the bottom of the inning, but would leave them loaded as we’d go to the 3rd, still scoreless. In the top of the 3rd, T. Huffman continued his great outing adding two more strikeouts to his total, sending us to the bottom half of the inning. Four straight hits, including an RBI from Wyatt Gooch & Zack Moore gave the Dragons a 2-0 lead over Heritage going to the 4th. In the top of the 4th, the Generals cut the Dragon lead in half with a solo home run, making it 2-1. The Dragons went in order in the bottom of the frame, sending us to the 5th. T. Huffman ended the Heritage 5th with a K to bring his total to 5 & keeping Pickens ahead 2-1 as we headed to the bottom of the inning. The Generals again were able to sit the Dragons down in order in the bottom of the 5th to send us to the 6th. The Generals again were shut down in the top of the 6th as Pickens kept a hold of the slim 2-1 lead. The Dragons had a chance to stretch the lead to two, but was unable to as we headed to the 7th inning. In the top of the 7th, Heritage had the bases loaded with two outs, looking to either tie it, or take their first lead of the ball game. Neither would happen as T. Huffman got the batter to pop up and the Dragons were able to hang on and get a huge win over the Generals, 2-1. Pickens & Heritage now find themselves tied for 2nd in 6-AAAA with 7-3 records. These two teams will meet again on Thursday at Heritage for the 2nd game of the series. The series finale will be Friday at Dragons Field. 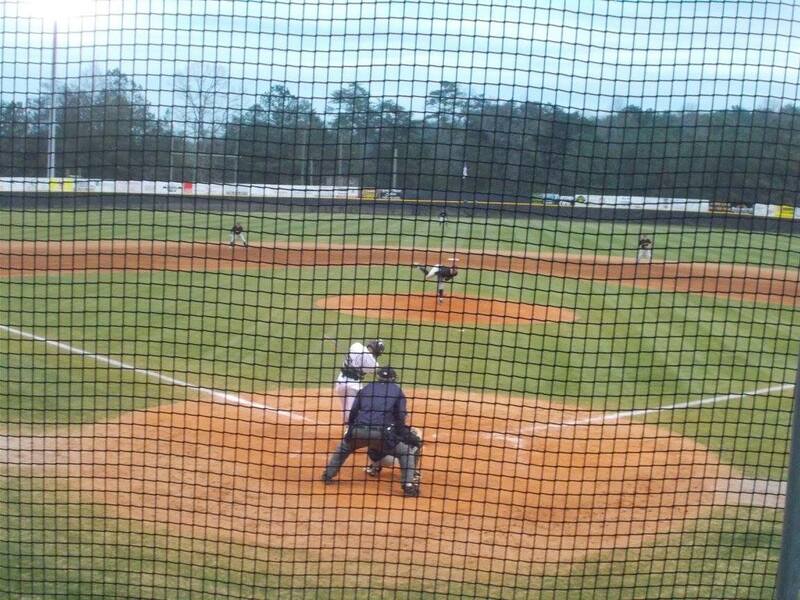 Both games have a start time of 5:30 p.m.
On Tuesday afternoon, the PHS Dragons varsity baseball team began a crucial series with the Panthers of Ridgeland. 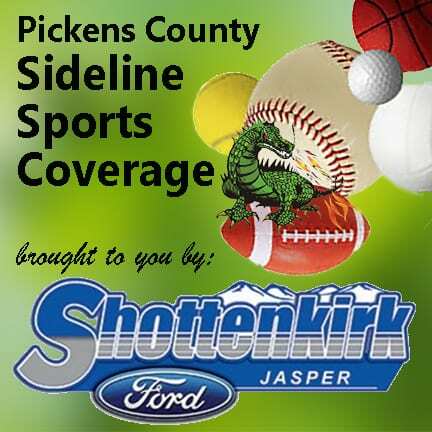 After dropping their previous series to Heritage 2-1, Pickens looked to keep pace and stay in 3rd place in the region as Gilmer & Ridgeland were right behind them in the standings. In the top of the 1st, starting pitcher for the Dragons Travis Huffman sat the Panthers down on 13 pitches to send us to the bottom of the inning. In the bottom of the frame, the starter for Ridgeland was equally as impressive as the Dragons went in order to send us to the 2nd, still scoreless. In the top of the 2nd, the Panthers drew first blood as they plated two runs on just one hit, to take a 2-0 lead over the Dragons going to the bottom of the 2nd. That lead for Ridgeland would not last long as Pickens answered with four runs on two hits to take the lead, 4-2 going to the 3rd. It was a less stressful top of the 3rd for T. Huffman as he needed 12 pitches to send us to the bottom half of the 3rd. The Dragons had an opportunity in the bottom of the frame to add more to their lead, but left runners stranded on 1st & 2nd to send us to the 4th, Pickens still leading the Panthers, 4-2. Ridgeland tried to get something going in the top of the 4th, but the Dragons were able to get out of it without any damage done. Pickens had a tough bottom half of the inning as they went in order to send us to the 5th, Dragons still in front, 4-2. T. Huffman needed 11 pitches, and added his 3rd strikeout of the game in the top of the 5th to bring the offense for Pickens up. A 1-out walk would prove to backfire for the Panthers as Zack Moore drove in Dominic Stephens with an RBI single to stretch the lead for the Dragons over Ridgeland to 5-2. Z. Moore would then come in as Dylan Huffman reached 1st base after a passed ball following a strikeout to make it 6-2 Dragons, going to the 6th. Ridgeland had another scoring threat in the top of the 6th, but T. Huffman shut it down with the 2nd of his two strikeouts in the inning to keep the lead at 6-2 in the Dragons favor. Brady Moore led the bottom of the 6th off with a double, & was driven in by Joseph Gossett to make it 7-2 Pickens, going to the 7th. T. Huffman came out in the top of the 7th to finish what he started and finish is what he did. T. Huffman closed the game out with his 6th strikeout to give the Dragons the win in the series opener, 7-2. With the win, the Dragons are now 14-8 overall and 8-5 in 6-AAAA play. 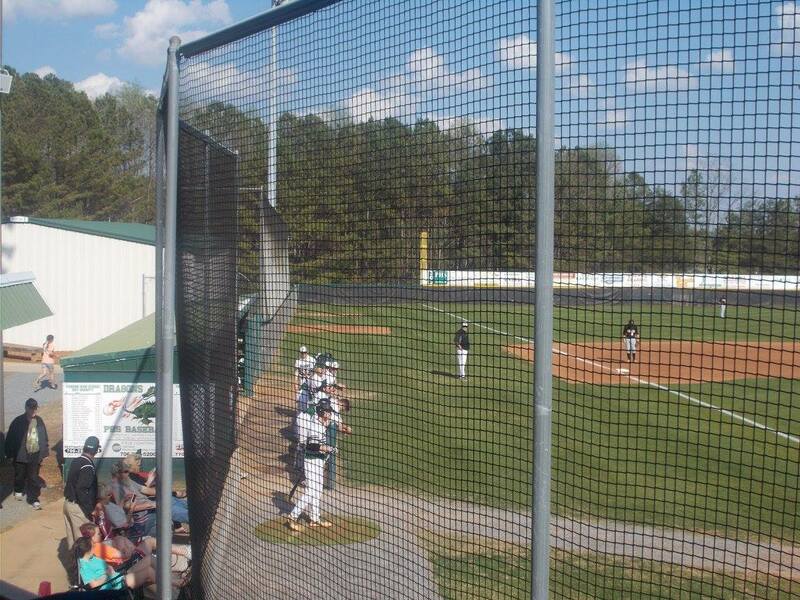 Pickens & Ridgeland will meet up again on Thursday at Ridgeland. First Pitch set for 5:55. The series finale will be held back in Jasper at PCMS. First pitch set for 5:30 for that one. 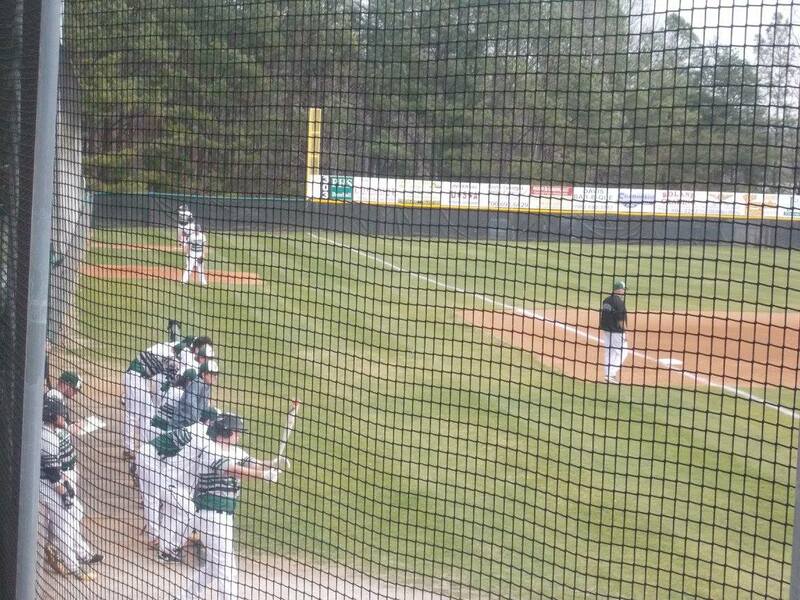 Yesterday, before the storms rolled in, the PHS Dragons varsity baseball team hosted the Bruins of Northwest Whitfield in 6-AAAA region action. Coming into the ball game, the Dragons held the top spot in the region standings at 3-0 while the Bruins held a 4-2 mark. This was the start of a three game series between the two schools. Senior Travis Huffman got the start for the Dragons and looked good early. After allowing a bloop hit in the top of the 1st, he was able to work around it to send us to the bottom of the frame. 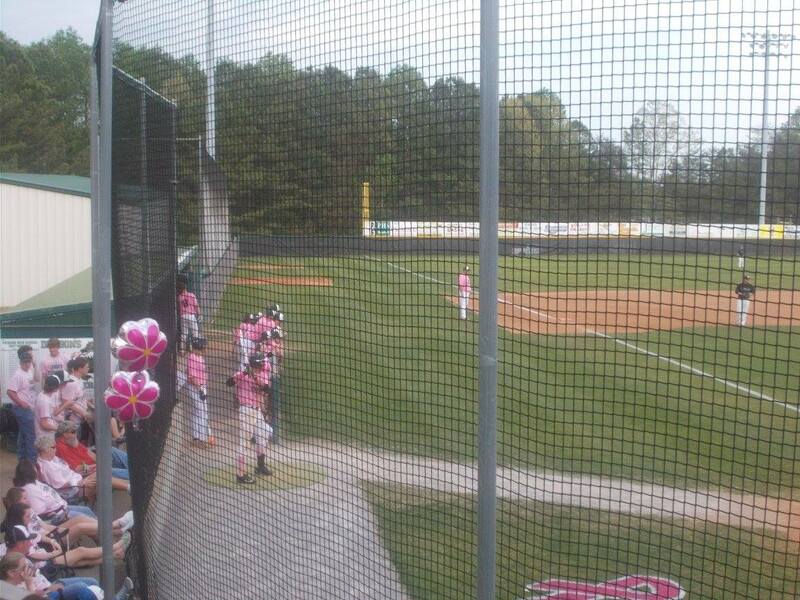 In the bottom of the 1st, Pickens had an early scoring chance with runners at the corners and only 1 out. However, the runner at 1st would be picked off and the Bruins were able to get out of the inning with a pop up. In the top of the 2nd, Northwest Whitfield struck first blood. 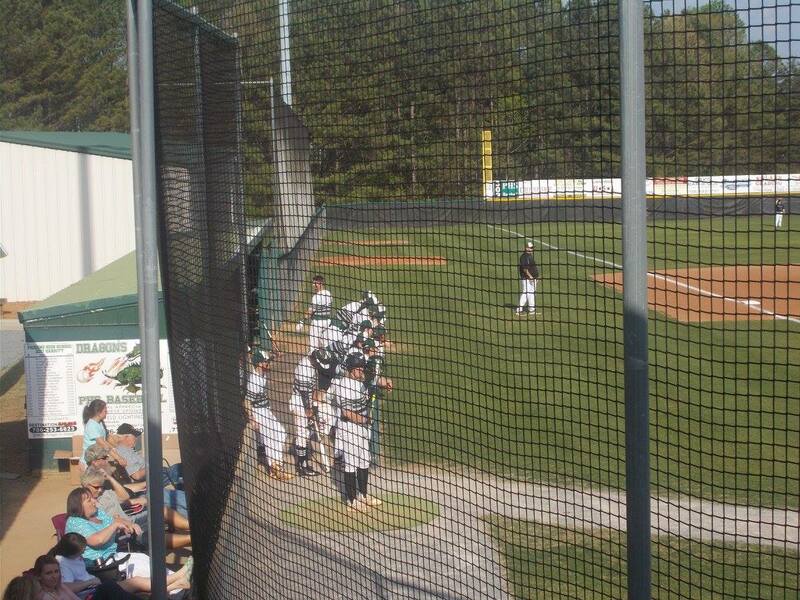 The Bruins were able to plate 4 runs on 3 hits to take a 4-0 lead over the Pickens going to the bottom of the 2nd. 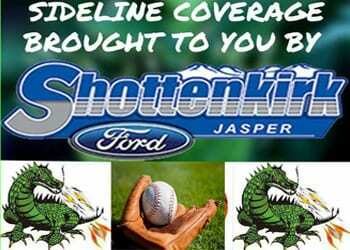 Again, the Dragons had a scoring chance in the bottom of the inning. The runner at 2nd would be doubled up after the Bruins pitcher caught a line drive, & the inning would come to an end with a fly out. We headed to the 3rd, Northwest Whitfield leading Pickens, 4-0. The top of the 3rd was the best half inning of work for T. Huffman as he only needed 9 pitches to get out of the frame. 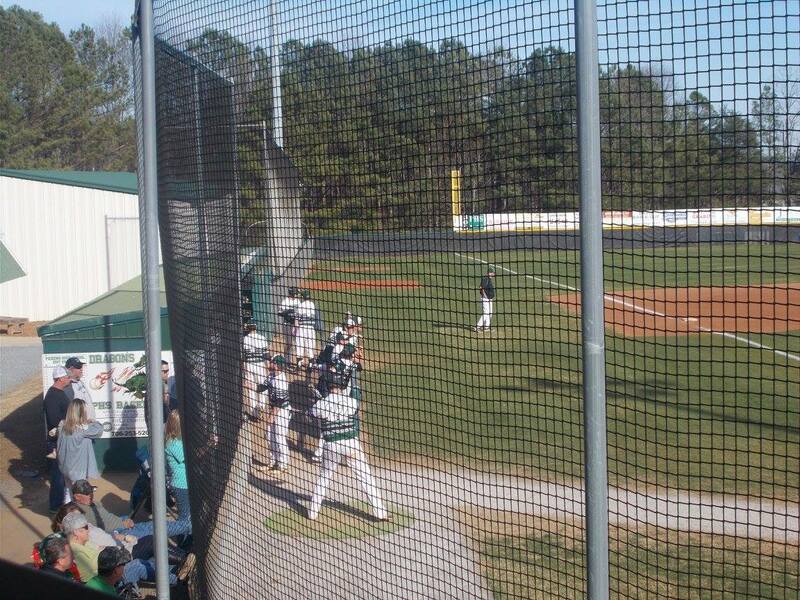 The bottom of the 3rd again showed promise for the Dragons, as Pickens had runners on 1st & 2nd with 1 out. The Bruins however were able to get out of it without any damage done to maintain their 4-0 advantage going to the top of the 4th. Relief pitcher Andrew Hasbrouck needed only 8 pitches in the top of the 4th to sit Northwest Whitfield down. The Dragons stranded a runner at 2nd in the bottom of the 4th to send us to the 5th. Hasbrouck continued his success from the top of the 4th to the top of the 5th as he again only needed 8 pitches to get out of the inning. Pickens had a minor 2-out threat, but left a runner stranded at 1st to send us to the top of the 6th, Northwest Whitfield still ahead, 4-0. In the top of the 6th, Hasbrouck continued his outing with a ten pitch inning that included 1 strikeout. The Dragons offensive struggles continued however as they would go in order in the bottom of the inning to send us to the 7th, Bruins leading, 4-0. Northwest Whitfield added to their lead in the top of the 7th with a run to make it 5-0 going to the bottom of the frame. Dragons down to their final three outs. Jace Franklin would start it off by being hit, Will Lawrence followed that up with a double. Brady Moore then would reach on an error, scoring Franklin. T. Huffman, pitch hitting for Hasbrouck, knocked in Lawrence on a sacrifice fly. With 2 out, Dalton Presley reached on an error, which scored B. Moore. A fly out ended the Dragons rally as the Bruins escaped with a 5-3 win.